You've probably admired this elegant French Colonial on a beautifully landscaped lot with fabulous curb appeal as you have driven by! It has a large foyer, formal living & dining rooms, solarium, fruitwood paneled library, first floor master, 2nd first floor ensuite bedroom, large well equipped kitchen with breakfast area and sitting room. Over the 2 1/2 car garage are a bedroom, full bath, and office which could be used as a fourth bedroom! It was originally built in 1953 by Lucy and Jeremiah Beam, (Jim Beam distillery). The architect was Ed Gregg & landscape planned by Ann Bruce Haldeman. The raised sand patterned wallpaper in the living room and the dining room oil painting on canvas evoking 19th century Parisian city scenes painted by the Beam's friend & artist Martin Shallenberger are still existing. SchoolsClick map icons below to view information for schools near 11 Totem Rd Louisville, KY 40207. Real estate listing at 11 Totem Rd Louisville, KY 40207. 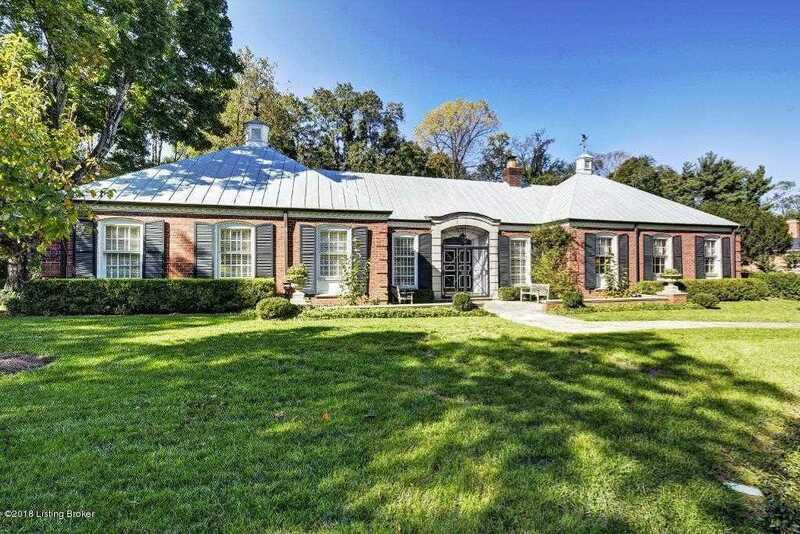 Description: The real estate listing at 11 Totem Rd Louisville, KY 40207 with the MLS# 1521789 is currently listed for $775,000 and has been on the Louisville market for 110 days. You are viewing the GLAR MLS property details of the real estate listing at 11 Totem Rd Louisville, KY 40207, which is located in the Indian Hills neighborhood, includes 3 bedrooms and 5 bathrooms, and has approximately 4115 sq.ft. of living area.